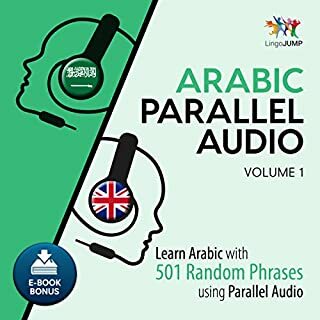 All Arabic words in this audiobook were written in English transliteration! In creating this time-saving program, master linguist Yatir Nitzany spent years examining the 27 most common languages in the world and distilling from them the 350 words that are most likely to be used in real conversations. These 350 words were chosen in such a way that they were structurally interrelated and when combined, form sentences. 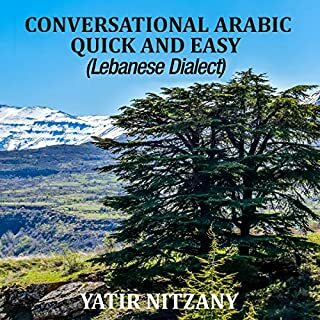 Through various other discoveries about how real conversations work - discoveries that are detailed further in this audiobook - Nitzany created the necessary tools for linking these words together in a specific way so you may become rapidly and almost effortlessly conversant - now. 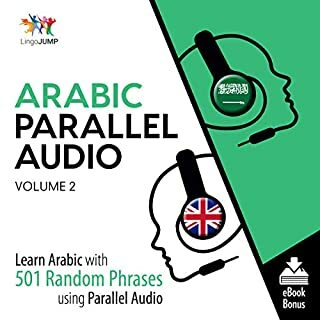 If your desire is to learn complicated grammatical rules or to speak perfectly proper and precise Arabic, this audiobook is not for you. 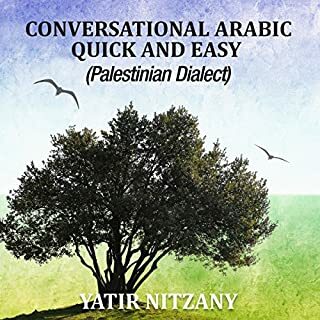 However, if you need to actually hold a conversation while on a trip to Jordan, to impress that certain someone, or to be able to speak with your grandfather or grandmother as soon as possible, then the Nitzany method is what you have been seeking. 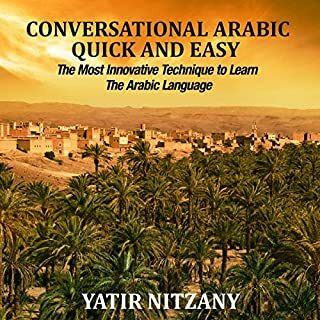 This audiobook is recommended for those who already have some prior knowledge of the pronunciation of Arabic accents (such as the Arabic accents: ayin, ghayn, ha, and khaf). For those of you who do not, this audiobook does indeed provide some great, in-depth techniques on the pronunciation and recognition of these accents that you will encounter throughout the program. These techniques have proven extremely beneficial for beginner students who were previously unfamiliar with these accent pronunciations. But keep in mind this isn’t a pronunciation audiobook. This method is designed for fluency in a foreign language while communicating in the first-person present tense. Nitzany believes what’s most important is actually being able to understand and be understood by another human being right away. Therefore, unlike other courses, all words in this program are taught in English transliteration, without having to learn the complex alphabet. More formalized training in grammar rules, etc., can come later. This is one of the several in a series of instructional language guides. The Nitzany method’s revolutionary approach is the only one in the world that uses its unique language technology to actually enable you to speak and understand native speakers in the shortest amount of time possible. No more depending on volumes of books of fundamental, beginner, intermediate, and advanced levels, all with hundreds of pages in order to learn a language. I will be traveling to Jordan and Egypt next week so I will be listening to this on the plane. Already been listening to it and found the method quite helpful. 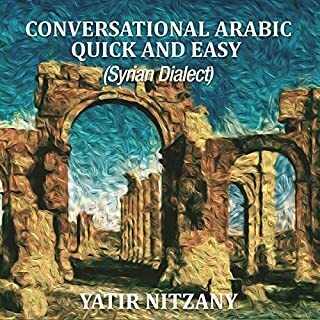 I like yatir nitzanys Arabic language books I have listened to a lot of them, cant wait until the next one. What I like about this book is the approach to learning Jordanian Arabic. I will be traveling to Jordan and Israel next month so its a plus for me. 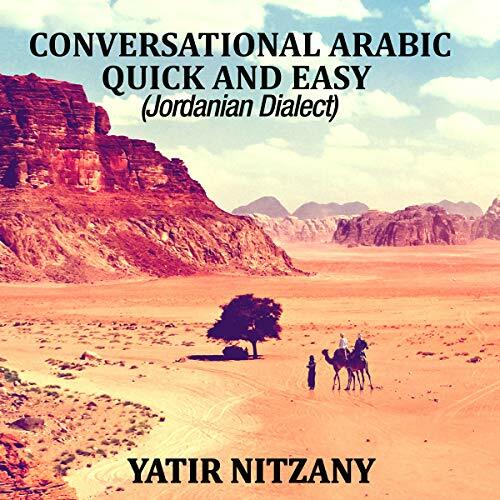 This is excellent for a beginner to intermediate Jordanian Arabic learners. Every word is clearly pronounced making it a good listen.